Pharmacogenomics — prescribing medications based on a person’s genomic information — is one area of precision medicine that can offer an immediate impact on improving a patient’s care. People metabolize different drugs at different rates, some faster, some slower. On occasion, a specific drug may have devastating consequences to a patient. Pharmacogenomics, or PGx as we more commonly refer to it, can assist physicians in avoiding harmful reactions and improving how a patient metabolizes drugs. Implementing pharmacogenomics into the clinical practice has become the catalyst to patient and physician awareness of precision medicine. Information received from pharmacogenomics testing is given to the patient and also, where possible used to improve their care plan. For example, once patients undergo pharmacogenomics testing this information is implemented into their electronic medical record in the form of “drug-gene” interactions. To date, at Mayo Clinic over 3,300 alerts have fired and over 3,000 positive findings have been added to electronic medical records. These drug-gene interactions include poor responses to medications such as clopidogrel which may be important in the common health care scenario of coronary stenting after a heart attack. This prescribing guidance on clopidogrel is recognized and advised by the FDA, yet is still not routinely performed in clinical practice. But significant barriers, such as lack of professional guidelines, specialized training for interpretation of PGx data, and insufficient evidence to support clinical utility, prevent preemptive PGx testing from being more widely implemented in the clinic. 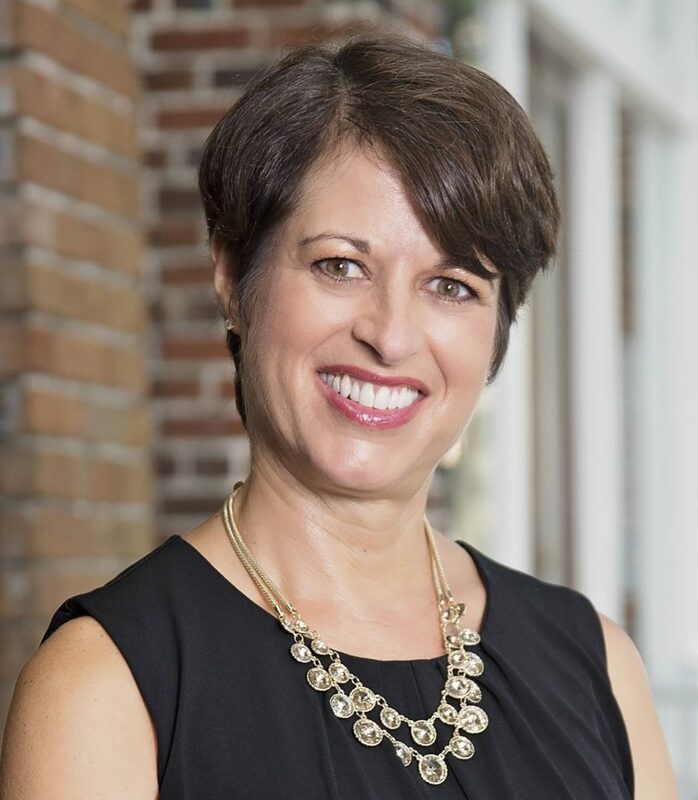 These are issues that Julie Johnson, Pharm.D., dean of the University of Florida College of Pharmacy and distinguished professor of Pharmacy and Medicine, has been working to overcome and highlights her work to improve outcomes in the clinical practice of pharmacogenomics. Dr. Johnson’s research focuses on cardiovascular pharmacogenomics and genomic medicine. The majority of her research centers around efforts in hypertension and heart failure, with a primary focus on proteins that are drug targets and the impact of their genetic polymorphisms on drug response and disease. She leads a hypertension pharmacogenomics research group, funded under the National Institutes of Health (NIH)Pharmacogenomics Research Network, and another NIH-funded group in genomic medicine implementation in the NIH IGNITE network. 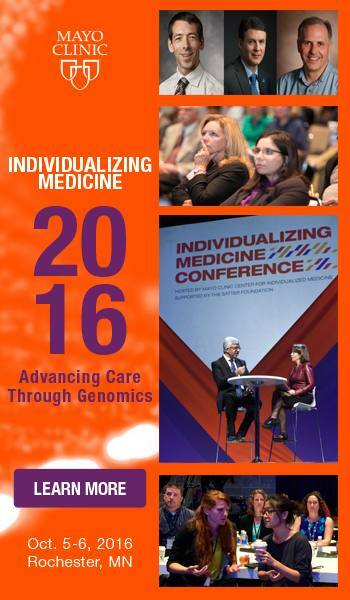 A recognized leader in cardiovascular pharmacogenomics and genomic medicine, Dr. Johnson joins the plenary speaker line-up for Individualizing Medicine 2016: Advancing Care Through Genomics. Hosted by the Center for Individualized Medicine, the fifth annual genomics conference takes place October 5–6, in Rochester, Minn., home of Mayo Clinic. Pharmacogenomics will also be the focus of breakout sessions and case studies, along with epigenomics, the microbiome, biomarker discovery, and more. These sessions will take you into the details of research with some of the most knowledgeable experts in the field today. You may also learn more about pharmacogenomics in our video blog series, “Story by Story.” Captured on an elevator by a mad videographer, Center for Individualized Medicine pharmacist Eric Matey, Pharm.D., R.Ph., answers questions about PGx testing.